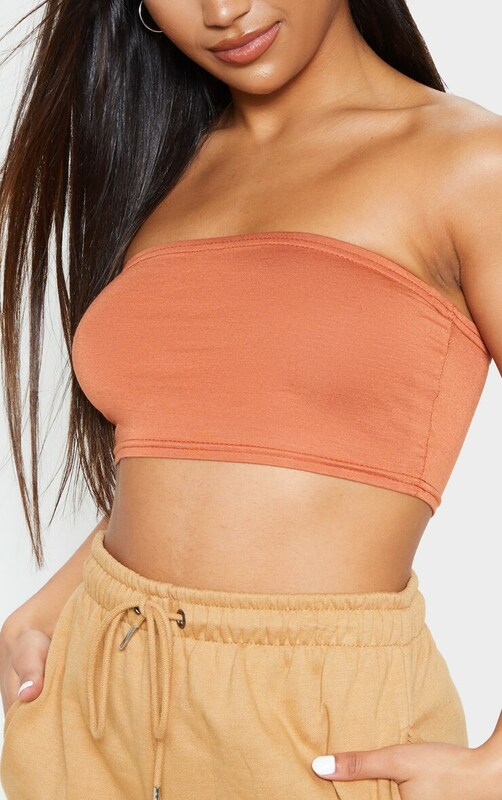 This simple crop top is a must-have for your everyday wardrobe. 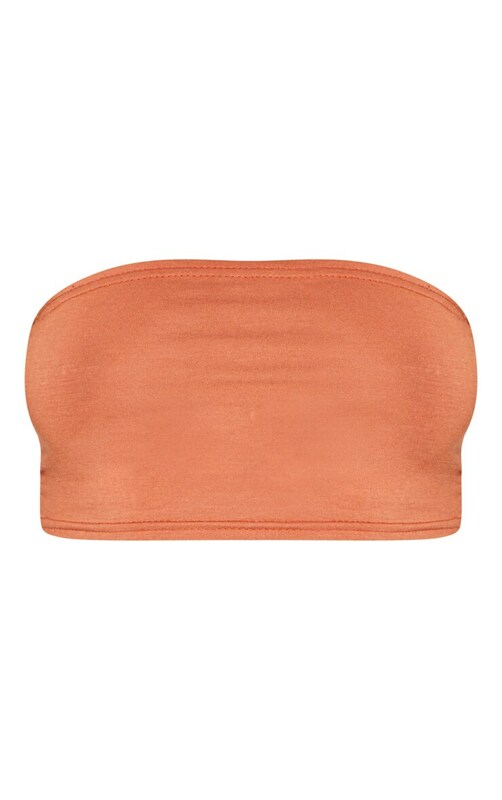 Featuring a tan jersey material with a bandeau neckline. Team with high waisted joggers and chunky trainers for that effortless but worthy look.